Gameplay-facilitating trainer for Strange Brigade . This trainer may not necessarily work with your copy of the game. 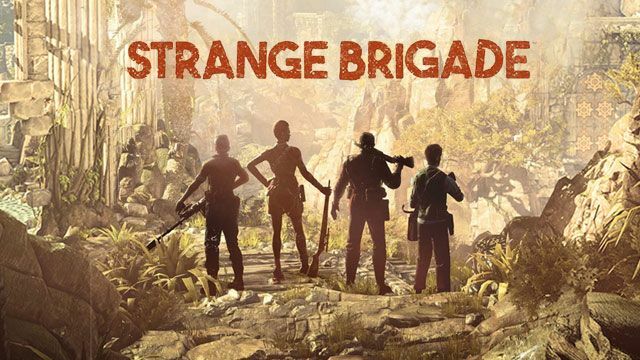 Available here: Strange Brigade Trainer. Numpad 1: Unlimited Health - toggle on and the trainer attempts to keep your health full. Numpad 2: Instant Full Amulet Charge - toggle on and your amulet is fully charged and ready for attack. Numpad 3: Easy Kills - toggle on and most enemies are very easy to kill. Numpad 4: Unlimited Ammo - toggle on and most weapons have unlimited ammo. Numpad 5: No Reload - toggle on and most weapons can fire without need to reload. Numpad 6: Set Saved Gold - you should use this option at the main menu, then click PLAY, then CAMPAIGN, then INVENTORY and you will see you have the value shown in the trainer. Numpad 7: Set Saved Skill Points - you should use this option at the main menu, then click PLAY, then CAMPAIGN, then INVENTORY and you will see you have the value shown in the trainer. Numpad 8: Gold While Playing Campaign - press this key while in the mission where you can move your character around during the campaign, then the SECOND time you collect gold, it will be at least the amount shown in the trainer. Numpad 9: Unlimited Upgrade Gems - toggle on and when you enter a workstation, you have unlimited gems to place into the weapons upgrade slots. Numpad 0: No Recoil - toggle on and most weapons will have less recoil. Numpad /: Improved Accuracy - toggle on and most weapons will have improved accuracy. Numpad *: Fast Grenade/Throwables Cooldown - toggle on and when you throw the grenade, the cooldown is almost instant to throw another grenade. May work with other items as well.